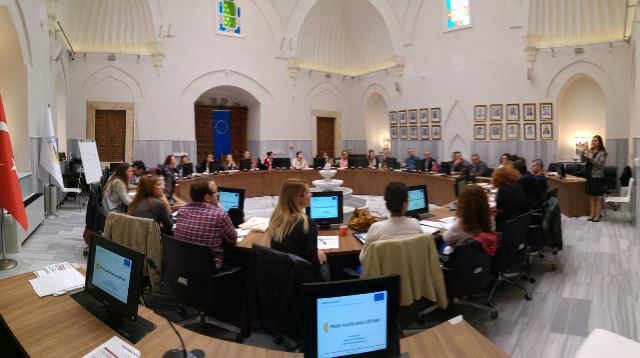 Project Preparation Trainings are being organized for the potential beneficiaries in Edirne and Kırklareli within the context of the first call for proposals that is planned to be announced in the last quarter of 2015 for the Interreg Bulgaria-Turkey IPA Cross-border Programme, whose Programme Document for 2014-2020 has already been adopted by the European Commission. 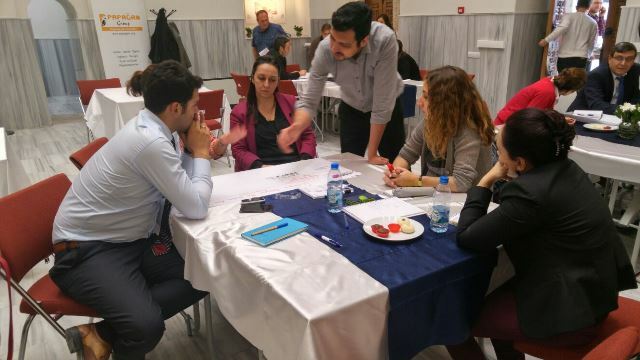 The trainings have been planned as eight sessions to be conducted both in Edirne and Kırklareli in order to reach a wider target group in the eligible area. The first four sessions in Edirne have been completed with the latest training that took place on 13-14 October 2015. The training sessions in Kırklareli started in Lüleburgaz on 15-16 October 2015. This training was held in Sokollu Hamam which was restored and re-organized as the Municipal Council Hall with the project titled “Preservation of Cultural and Historical Heritage” within the scope of the second call for proposals of the Programme in 2007-2013 period. Detailed information and the directions for applications about the upcoming trainings in Kırklareli can be found here.